Of course many associate the film with student life. The living in squalor – the kitchen with an ever-growing tower of dirty dishes turning last weeks leftover chips and gravy into new life forms, larger with every day, seeking south for winter. It’s easy for your average student to take one look at the greasy stove and congregation of plates and cutlery (that are beginning to smell like a morgue) and decide to ‘sort it out tomorrow’. It’s even easier to start watching ‘Withnail and I’ trying to sort out their own messy sink because at least you get to keep your hands clean and have a few laughs for good measure. Released in 1987, ‘Withnail and I’ was, during its production, hampered by a producer who couldn’t see the merits of the film, and a director who admitted he didn’t really know what he was doing. Bruce Robinson, by this time, had already accomplished himself as a writer. He’d been nominated for both Oscar and Bafta awards for his screenplay The Killing Fields which looked at the Khmer Rouge regime in Cambodia from the experiences of three journalists. Yet, his real passion was acting, or at least that was until he became disillusioned with whole practice after spending years being rejected and having to live off the state. However, since he couldn’t make it as an actor, he decided he may well profit from telling the story of his trials and tribulations. That’s where the genesis for ‘Withnail and I’ came from. But, Robinson’s script takes more from the essence of the period, and the way he was feeling at the time, than from any one situation. The film doesn’t rely on strong plotting, it relies on characters in a predicament; friendship in a world of confusion, counter-culture, and loss. To say Robinson didn’t have any success as an actor would be to perpetuate the director’s own modesty. 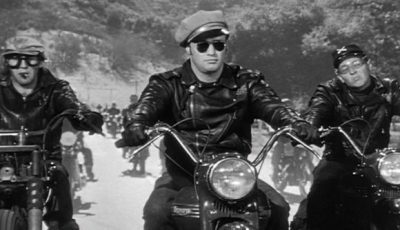 When it comes to this film he sees the merits of his own screenplay but downplays his visual direction, claiming the film doesn’t look pretty. Certainly however, the writer/director focuses his attention on those out-of-work days, when “alcohol and drug abuse help” didn’t mean abstaining but rampant experimentation. Indeed, drugs were commonplace and alcohol was a secure part of any diet. You can see the autobiographical nature of the film reflected in both Withnail and his counterpart ‘I’ (or Marwood, to which he is never referred to on screen). Withnail’s constant barrage of self-righteous nonsense is clearly the mark of Robinson’s pre-Romeo and Juliet acting struggles (although the character is more specifically based on his drinking buddy and close friend Vivian Mackerrell), while Marwood’s jittery anxiety is a product of rampant rejection and over-indulgence with amphetamines. There’s an unsympathetic tone to the period, and an apprehension for the future. No wonder so many students can cling to the film’s ideals. Withnail and Marwood’s friendship is true but built on fear of failure, poverty-induced paranoia, and a loveless world that pervades not only their relationship but Marwood’s homophobic panic (believed to be inspired by Robinson’s difficulties working under gay director Franco Zeffirelli who allegedly assaulted him), Uncle Monty’s loneliness and inability to garner the attention of another male, gay or otherwise, and the fact there is no romantic sub-plot for either of the two friends. Indeed, when you strip ‘Withnail and I’ of its linguistic jousting and infinitely quotable lines, you lay bare a heartfelt parable of two friends fighting themselves. Marwood laments poetically, his inner-monologue introducing the viewer to this urban squalor in Camden’s miserable town, while Withnail’s destruction appears self-warranted, as if his only way to live life to the full is finding the most hallucinogenic way to end it. 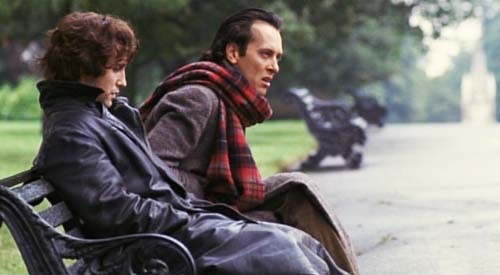 The film’s heartbreaking finale sees the friendship conclude, with Richard E. Grant’s Withnail delivering his finest, and perhaps final, theatrical performance to an uninterested pack of wolves. His injured pride is laid naked on this ‘stage’ as he reads from Hamlet, which is both a poignant finale and bitter indictment of the situation. It carries more power because Grant so brilliantly encapsulates the scene, Robinson not allowing any cinematic extravagances to take anything away from Withnail’s ‘moment’. It is also saddening given Robinson’s later essay for Criterion where he paid tribute to Withnail’s inspiration – Vivian Mackerrell – who battled and later died from throat cancer. As Robinson nostalgically remembers his friend laughing in the face of death, he says ‘that sad, brilliant, bitter face of yours laughing. Good-bye my darling friend. This [the movie] is for you forever. And I know if there’s a pub in heaven, you’ll be in it.’ For everyone else, film fans at least, who only knew the on-screen Withnail, this becomes an unpleasant but deeply effectual denouement for both friendship and Withnail’s exit stage left. Yet, nothing can take away from the film’s wonderful humour. Nor can it be claimed the film isn’t unabashedly funny. It was voted the third greatest comedy of all time in 2000 and its unsurprising why. Robinson’s script is full of joyous wordage born out pathos, paranoia and bitterness. Infinitely quotable, the film is one of the most oft-imitated and referenced. It sits proudly alongside the likes of This Is Spinal Tap, The Big Lebowski, Some Like It Hot, and just about anything Neil Simon ever wrote. Over course, it wouldn’t be half as funny if the actors didn’t give career-best performances (interesting in that both Grant and McGann were starring in their first major film). McGann was fired by Robinson during filming but swayed the director back on side when he swore he’d deliver an accent more fitting with what was required. Robinson was so particular with his dialogue (and who wouldn’t be with such a wonderful script) that he insisted on pauses and intonations being in the right places. The director would later praise Grant, who was a teetotaller, on delivering the best performance of a drunk he’d ever seen. Robinson got Grant drunk just once during production so that he could use the experience for the film. It certainly worked. Grant is simply spectacular. He encapsulates Withnail’s bitter, alternate view of the world with as much zest as a million sour citrus fruits. His sudden outrage at something living in the overgrown sink, his fishing technique, and trying to look sober in front of a police officer, all exude the self-righteous bitterness of Withnail. McGann, conversely, hides Marwood’s fears inwardly. His quiet indignation held more closely to home. He of course must come out of his shell in the face of what Monty (Richard Griffiths) calls ‘burglary’, when he’s trapped by the amorous wannabe-thespian while Withnail sleeps off another session of over-drinking. And like McGann, Griffiths and seedy, drug dealer and part-time philosopher Ralph Brown, are all excellent. Even if Robinson doesn’t give himself much credit as a visual director, he certainly gets the most out of his actors. You’ve also got to give the director plaudits for the use of music in the film. 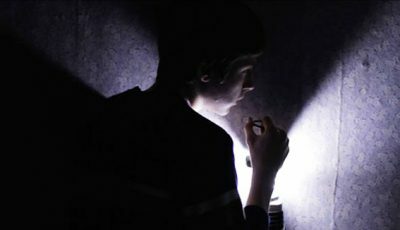 The low-budget origins might well show up in the original music composed for the movie by David Dundas and Rick Wentworth, but there’s a certain charm to it that becomes unique to the film. The opening slow-tracking shot of Marwood as he laments, King Curtis’ live version of A Whiter Shade of Pale playing over the scene, is inspired but even more melancholic given the singer was killed moments after the performance. Also, the film is one of few who were allowed to use original music recorded by The Beatles (largely due to George Harrison being one of the film’s producers). Indeed, notoriety must also be shared with Jimmy Hendrix’s songs, as the film’s soundtrack became unavailable to buy after the late-musician’s family did not want his music associated with drink or drug use. However, the songs remain in the film with All Along The Watchtower brilliantly used alongside shots of buildings being demolished. It all adds up to a wonderfully entertaining movie that has lost none of its humour or effect in the twenty years since its release. Indeed, its iconic influence on the cult following who hold it so dear might well have grown stronger. Unsurprising, since it represents one of the last quintessentially British movies to come out of the country’s independent cinema before American big-business and the rampant multiplex-building of the late 1980s changed the face of the U.K film industry forever. Perhaps the film’s greatest attribute is the pervading sense of an unsure future, taking nothing for granted. But that’s where it’s wrong. Robinson, Grant, McGann and co. left us one thing we know we can control: the rewind button. And the great thing is: you can always go back to the beginning and watch the whole thing all over again, if you still don’t know what you want to do tomorrow.